Want to develop your motor-based projects? Tandem Motion-Power 48 V Board is your perfect platform ! Tandem Motion-Power 48 V Board is a flexible FPGA-based design platform for developing automotive, medical, and industrial applications. Featuring flexible voltage control (from 12V to 48V), and DC-DC boost converter circuit controlled by FPGA, the kit opens up immeasurable space and possibilities for motor-based projects and markets. The Tandem Motion-Power 48 V Board demonstrates control of DC-DC conversion and high-speed 12 to 48 V motors by a single FPGA. These applications are important in the automotive, medical, and industrial markets. The Tandem Motion-Power 48 V Board contains a bidirectional DC-DC boost-buck converter to generate the DC link voltage and six half-bridge inverter outputs. 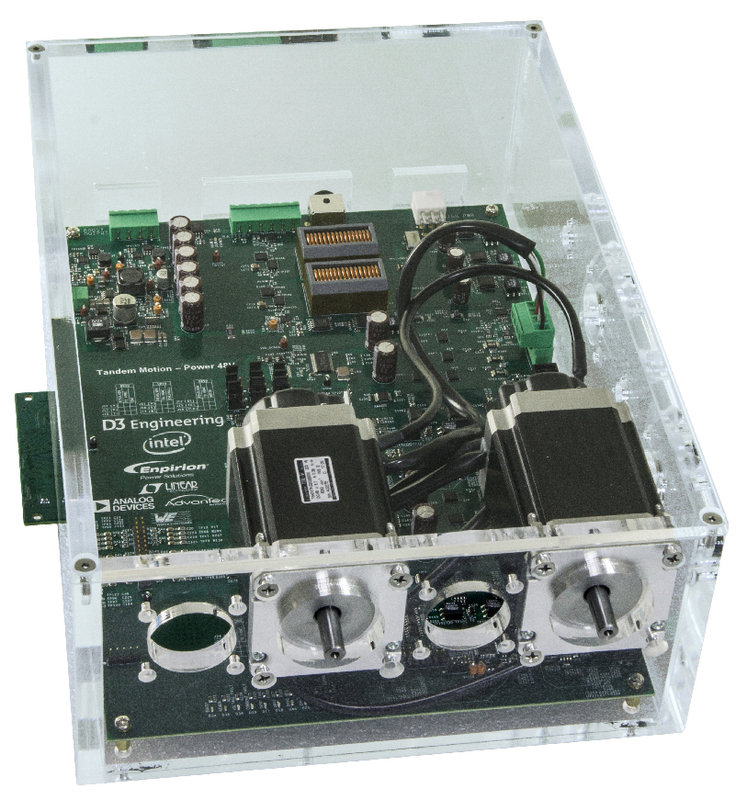 The board sends three half-bridge outputs to each output connector to create two three-phase motor inverters. You can use the half bridges in alternative arrangements for motors with different numbers of phases. The board provides MOSFET power electronics for DC-DC conversion and DC Link inversion, current and voltage sensing for DC-DC and motor control feedback, and connections for motor position feedback. 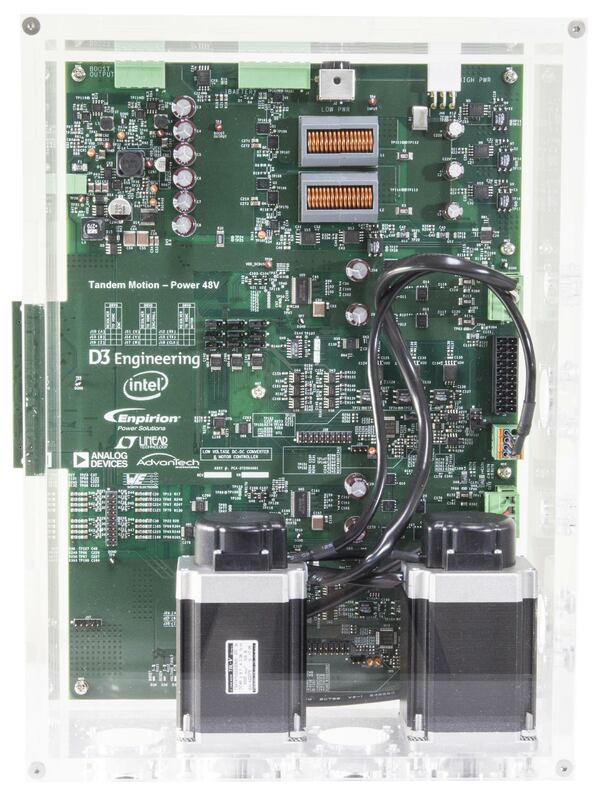 You can use the Tandem Motion-Power 48 V Board to develop a single or dual-axis motor control application that supports multiple motor types and multiple position feedback interfaces. 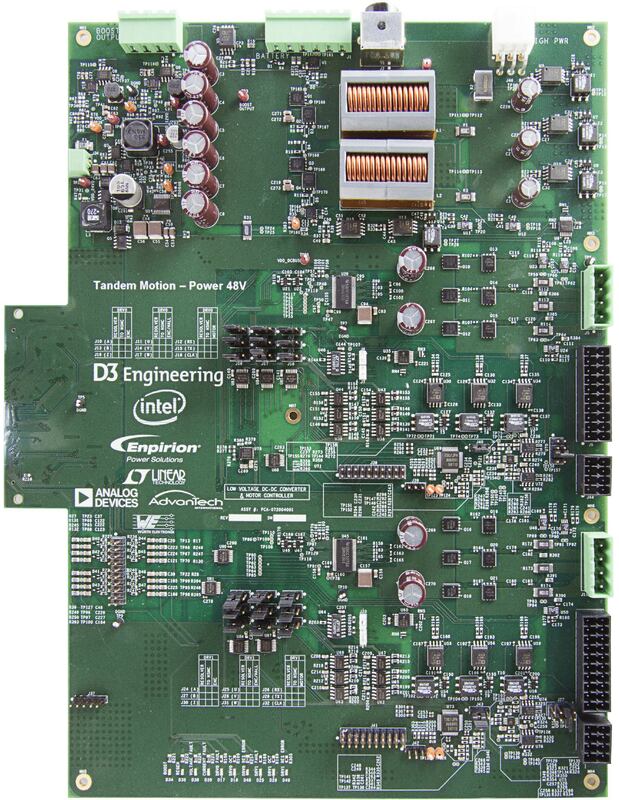 The Tandem Motion-Power 48 V Board includes an HSMC interface connector for connection to a variety of Intel FPGA and SoC-FPGA development kits.